In this article we will discuss the pros and cons Indexed Universal Life (IUL), focusing on the benefits and drawbacks of an insurance product that seems to polarize those in both the insurance and financial industry. For years Whole Life agents have engaged in mudslinging at this product from every direction possible, and with incredible voracity. Yet, there are options available to the consumer in the IUL marketplace that just aren’t available from any other top life insurance companies. So I hope you’ll agree that it’s worth taking a closer look at the IUL. The article is separated into three sections. The first section defines indexed universal life and lists our picks for the best IUL companies. In the second section, we get into the different indexed universal life insurance pros and cons, starting with the benefits. Finally, for a balanced approach we offer the disadvantages of IUL insurance as well. On September 1, 2015, NAIC Actuarial Guideline 49 (AKA “AG 49”), was put into effect. Essentially, AG 49 requires IUL insurance policy illustrations be based on the products general account, which means that cash value growth will be more conservative when creating an IUL illustration using an index than before AG49. In our opinion, this is a good thing for consumers as it gives a more conservative picture of what a policyholder of indexed universal life insurance can expect. And tempered expectations are good for the industry and for the viability of IUL products long term. 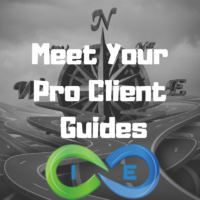 Before we venture into IUL insurance pros and cons, we wanted to take a moment and bring attention to some of the best indexed universal life companies. For more on these top IUL insurance companies, including information on the specific IUL policies offered, please click on any of the above insurance company names to be taken to our accompanying index universal life insurance company reviews. An IUL policy is a type of Universal Life Insurance. In similar fashion to universal life, indexed life insurance allows you to adjust your death benefit, your premium payment, and how often you make payments. An IUL is cash value life insurance. The policy earns interest in either a fixed account or indexed account, which helps your premium grow, increasing the cash value accumulation and growth in your policy. Both the fixed account and indexed account have floor, which is the guaranteed minimum level of interest you will be credited in that specific account. The typical floor for a fixed account is between 2-3%. The floor for an indexed account is usually 0%. The indexed account tracks a major equity indices, such as the DJIA, S&P 500, NASDAQ 100, Russell 2000, Hang Seng, EURO STOXX 50, or MSCI Emerging Markets. It is important to understand that your cash value is not invested in sub-accounts, a la variable life insurance. This is one of the major differences between VUL and IUL insurance. Instead, the cash in the indexed account earns credited interest based in part on the performance of the underlying index, subject to the cap and participation rate. The participation rate is used to determine how much your cash value will participate in the gains of the tracked index. The standard participation rate is usually 100% for a capped index. If the participation is 100%, then your cash value will be credited interest up to the total gains in the index, subject to the cap. The cap is the maximum amount of interest for that segment the insurer will credit to your indexed account. Cap rates vary depending on the type of indexed account and crediting methods. You will find different life insurance companies offer different cap rates, depending on the IUL policy and the index chosen. Your cap can vary significantly from one insurance carrier to another. Some companies offer uncapped potential but have a lower participation rate. In contrast, other IUL companies offer 100% participation rates but with cap rates ranging from 9% to 17%. You see, an IUL policy is only as good as its design. That is why it is important to be familiar with the various life insurance riders available and how they can affect your policy’s performance. More on all this to follow below. Hopefully the above is enough information for you to move on to the next section. Before launching into IUL pros and cons, let’s talk about whole life vs indexed universal life briefly. Indexed universal life too often gets a bad rap by the “whole life purist” crowd. And while whole life insurance is an excellent investment option, there is certainly a place for IUL in a solid financial plan. Whole life insurance is a non correlated asset, which means that it is does not follow the movement of the stock market. In contrast, index universal life does follow the stock market, as it is indexed to specific sector indices, such as the S&P 500 or NASDAQ 100. Whole life offers specific guarantees, such as guaranteed death benefit, guaranteed cash value growth and guaranteed level premium. Indexed universal life does not offer the same guarantees, as its performance is largely tied to the underlying equity index that it follows. A dividend-paying whole life policy pays an annual dividend. Dividends can be used to purchase additional paid-up insurance, further increasing the death benefit and cash value growth of the policy. An IUL policy is credited an interest rate determined by, either the declared rate of the insurer, or the participation rate and cap rate of the underlying index the indexed account tracks. So which is better, index universal life vs whole life? Hopefully the following index universal life pros and cons article will help shed some light on what permanent life insurance is best for you — based on your unique need and goals. This is an insurance product and ultimately the thing you are insuring (your life) is of utmost importance. Money will never be able to replace the loss of a loved one, but avoiding the double-whammy of a family death and massive financial hardship is significant. All life insurance products have a death benefit, so it may seem odd to discuss this as a pro, but ultimately it is the key product that is being purchased, so it shouldn’t be dismissed. I think many people wander around ignorant of the necessity of owning a life insurance policy, but once they are educated and see the need, there is usually a tremendous sense of urgency that is only relieved by their own policy going in force, which provides peace of mind knowing that your family will be financially provided for should you face an untimely demise. An IUL is a cash value life insurance policy, meaning that it has a cash value and allows for cash accumulation inside the policy. This is a distinct advantage of permanent life vs term life and is part of the reason that an IUL is more expensive than term, at least initially. The cash value grows over time as the individual pays into the IUL policy. The cash value can always be accessed and used as you see fit. In addition the withdrawals are tax-free income, up to the amount of premiums paid, because the premiums were paid in after-tax dollars. And don’t forget that you can also access the growth of your account tax-free, by taking a life insurance policy loan (sometimes called a swap loan) against your cash value. The cash value can be used to help pay for long-term care costs. In addition, some IUL policies offer long-term care insurance riders. With the rising costs associated with long term care, have a hybrid policy might be a good option. For those with a lot of extra cash to invest each year there is a limit to the amount you can pay into the policy (typically a percentage of the total policy value), this limit is known as the MEC (modified endowment contract) limit. So keep that in mind if you’re thinking this could be a tax shelter. Convertible term insurance policies require that you pay your premium each and every month, if you stop paying, your policy lapses. There are some exceptions, but it is fairly rigid. With an Indexed Universal Life policy you have the ability to pay more or less each month (there is a minimum to cover fees, and a maximum based on the MEC limit) but the policy has much more premium flexibility than the other types of life insurance policies in the market. The flexibility of an IUL is great for those that have income that fluctuates throughout the year. If you work on commission and certain times of the year are much better than others, you may want to consider the flexible premium options available with an IUL policy. Another great aspect of the IUL is that each year the gains are locked in or captured. So, every year your gain will be secured along with your previous cash value total. Within an IUL your insurance company does not invest your cash value in the stock market. Instead, the life insurance company purchases options on the market index, providing the opportunity to make money when the stock market is up and helping avoid losing it when the market goes down. In reality, the company still loses the “option price” but that is part of the cost of insurance each year and is a fixed cost. In other words, the cost is known ahead of time and therefore the insurance company can estimate accordingly. The Annual Reset may not seem like much at first, but in reality it’s a fairly big deal. What it means is that you are always starting from zero each year. You never have to struggle to “catch up” due to previous losses. Over a 79 year period (1937-2015), the S&P 500 had two periods where it lost three years in a row, 1939-1941 and 2000-2002. It only had one period where it lost two years in a row, 1973-1974. And after those distinct losses, the market bounced back with double digit returns every time. I share this because normally those double digit returns are just a way of getting back some of the horrible losses in the previous years. If you have $100k invested and lose 10% in year one, 20% in year two, and 10% in year three, you’ll be at around $65k at the end of the three years. In order to get back to even, you’ll need to get around 50% in the coming year. However, if you had $100k in cash value in your IUL over the same period of time, after those three years your cash value would still be really close to $100k – which means that the double digit returns don’t get you back to even, but springboard your policy’s cash value to new heights. When you get ready to retire there is no mandatory distribution in an IUL. If you have an IRA or the pesky 401(k) you’ll have to start taking distributions (withdrawals) when you turn 70 1/2. I’m sure you know already, but the reason for this mandatory withdrawal is because the IRS can’t tax that money until you start to take 401k withdrawals. Now, if you’re trying to build your retirement account while you or your spouse is still working, these mandatory distributions can seriously slow your progress. The IUL has no such mandatory distribution requirement. With an IUL, if your spouse is working and you are retired, you can live off the employment income and let your cash value grow and grow without being forced to take out any money. You can also access your policy’s cash value via a withdrawal or loan for tax-free retirement income. (If you have a 401(k) and you are still working after reaching the age limit, you can delay the distributions, but only until you stop working, then it becomes mandatory). 6. Is it Tax-Deferred or Tax-Free? The IUL is a tax-deferred policy. Similar to that of a 401(k) or an IRA, but different in many significant ways (some of which I’ve already mentioned above). If you choose to build up your cash value in an IUL policy and use the protection during your working years, the policy will act much like other tax-deferred products. The cash value will grow and you will not pay tax on the growth in the cash value. Note though, if you happen to close the account (not recommended) or take withdrawals instead of policy loans, you will pay taxes on the growth. However, unlike the IRA and 401(k) accounts, you can borrow against the IUL’s cash value tax-free without incurring any penalties. In addition, you can always withdraw from your cash value up the amount of the premiums paid (your basis) without being taxed since those premiums were paid in after-tax dollars. With an IUL you can access your cash value at any age, without penalty or compulsion. You do not have to wait for some required age to access to your cash value. Many tax-deferred retirement accounts have an age restriction of 59 1/2 before you can access the money. If you withdraw ahead of time there are penalties and restrictions. I don’t know about you, but I prefer to have zero limits on accessing my own cash. With an IRA you do have some stipulations for emergencies, and age distributions, but even so an IRA can be limiting. The Indexed Universal Life insurance policy has serious upside growth potential. This is probably one of the biggest reasons why individuals looking for permanent life insurance will choose an IUL over a Whole Life insurance policy. If the market index that your policy is tracking increases 10% in a given year your account will be credited around 10%. If the market index increases 20%, your account will be credited with the max or cap, which is currently around 13% for most policies. When the index returns a rate that is higher than the cap, the life insurance company keeps the difference. You don’t have to worry about the Indexed Universal Life policy impacting your Social Security tax situation. Many people don’t know this, but the money you make from Social Security in retirement may be taxed as income if you make more than a certain limit. The income from an IRA might just put you over the limit ($32,000 if filing jointly, or $25,000 if filing as an individual in 2017) and therefore cause your social security to be taxable. For example, say you get $24,000 a year from Social Security, and you take another $40,000 from your IRA each year. You may find yourself in a situation in which the Social Security benefits are taxable, and you’ll end up in a higher tax bracket. If, instead of an IRA you had an IUL policy loan for $40,000 per year, your taxable income would be zero because you would be under the base limit. For an individual or family that is living on less than $80,000 per year, you may find that your annual tax savings are in excess of $10,000. That’s a big deal. For those making more, your savings would be even greater. That’s a bigger deal. As much as we have mentioned the many pros of IUL insurance, there are some cons to ponder as well. We list our top 7 IUL insurance disadvantages below. One of the big selling points of the Indexed Universal Life policy is the fact that you never lose cash value, because there is a floor of 0% (sometimes 1%). The reality is that the cost of insurance in the early years can be significant, and therefore you may see your cash value decrease (i.e. you can lose money) if you have been paying near the minimum premium each month. It is recommended in the early years that you do what you can to pay the maximum life insurance premium. Doing this in the early years when your cash value is low will help get the ball rolling and the momentum accelerating. One of the benefits of an IUL policy is the flexible premium. But if you consistently pay the minimum premium, the down years will definitely be a big kick in the pants and you’ll be disappointed at the cash value of the policy. This can also start a snowball effect as the cost of insurance increases as you age. The cost of insurance in based on your age, your rating, and the amount insured. For each $1,000 death benefit there is a cost that increases each year as you age. The reason the cost goes up is because you are more likely to die. Whole Life insurance works by averaging the total cost of insurance for the entire life and provide a fixed premium. IUL policies have an increasing cost of insurance rate. This means that it is cheaper in the beginning and more expensive down the road. This can be scary for those that are not prepared financially and as they get older the cost of insurance skyrockets out of control. Competent Insurance agents are not trying to sell you a product that will lapse in your old age due to crazy expenses. Yes it can happen, but that should not be the intention of the competent indexed universal life agent. The intent of an IUL policy is to gradually decrease the “net amount of risk” (as seen by the insurance company), as you age. On most IUL policies, the death benefit is equal to the original insured amount minus the cash value. In other words, if you purchased a $500,000 policy, and you had $200,000 in cash value at the time of your death, your beneficiaries would receive a check for $500,000, not $700,000. This means that the insurance company only had to pay out $300,000 at the time of your death, because you had accumulated $200,000 in cash value during the life of the policy. All this to say, that as you get older the cost per $1000 of death benefit increases, but so should your cash value. Therefore the risk to the insurance company is relatively the same. You have a higher risk of dying because you are older, but they also have a lower amount at risk, so the two should even out. This is all fine and good if things go as expected. But if you pay the minimum, and the policy struggles because there are a few bad years in the beginning, you may find yourself down with too little cash value to compensate for the increasing cost of insurance associated with your age. You can always call and lower your death benefit, but that is obviously not something that most want to be facing. For the life insurance company to give you a 0% floor for downside protection, and to also give you upside, the insurer has to buy options. These options are not the same thing as buying the underlying stock that these options represent. As a result, the company does not get the dividends that a stock owner would rightfully get. Therefore, when you look at the S&P 500 index you must be aware that the index was created to include the dividends associated with the representative stocks. In other words, you will earn less than the index because you’re not getting the dividends. In some years this can be a 1% difference in the index, and in other years it may be as high as a 4% difference. But it’s helpful to know that you will never get the same rate of return that the index itself returns. To be fair, almost all asset managers fail to earn the same rate of return as the index, but that’s another point entirely. There is tremendous upside to IUL insurance because the life insurance company is buying options on a given index. However, they do cap the credit amount to limit upside potential so that in years where there is an index return of 22%, you will only be credited the max, or cap rate, associated with your policy. The cap rates are typically between 9-14% (although there are uncapped accounts available with certain insurers). Having your upside potential limited by a cap can be frustrating if you are watching your stock portfolio go through the roof and you want to get in on some of that action with your IUL. But it is usually outweighed by the converse effect of watching your stocks get decimated in a crash and your IUL is none the worse for wear. Credit caps are just a cost of doing business with an IUL policy. If you don’t like it, you may be better off with a Variable Universal policy or perhaps another investment product that participates fully in the stock market. The additional % that the market index returns above the cap is used to make up for the years in which the company has to cover the losses of a negative year and give the minimum guarantee. Not all companies offer a minimum guarantee that is above 0%, but some do offer a guarantee around 1%. This can be a big deal in covering the cost of insurance in down years. Paying the max life insurance premium allowed in the first few years of a policy will really tilt the policy in your favor for the life of the product. Finally, it’s also true that an IUL can be complicated, particularly if you are comparing it to something as simple as term life insurance. The fact that the cost of insurance rises as you age, and that there are some strategies for increasing death benefits and strategically managing the policy throughout the years to manage the various indexes and crediting options, means that it isn’t simple. This isn’t a big deal if you have a good IUL insurance agent that you trust, but it can be an issue if you don’t have an agent and prefer to just pay the premiums and forget about it. Hopefully you can tell from our indexed universal life insurance pros and cons list above, there are plenty of good reasons to choose an IUL, but they need to understood and weighed against the disadvantages and your own personal situation and needs. It can be complicated, but if you choose to stay educated and discuss your policy once a year with your agent, it’s not something that should be a deal breaker. The Indexed Universal Life policy is a solid and reliable life insurance product that provides a specific set of benefits to the consumer. For those that want a taste of the bull markets without the bite of the bears, this may be the perfect product for you. If you have questions, please don’t hesitate to reach out – we’d love to help. Please call us today for a complimentary strategy session. You mentioned in No. 3 that if you purchased $500K on IUL policy and have $200K cash value at the time of death, beneficiaries will only get $500k. Is that true too on whole life policy? Pamella Yellen’s book on Bank on your Self mentioned that you can get both totaling $700k. is that true? For Whole life insurance, the cash value growth also grows the death benefit. However, your beneficiary would not get the cash value AND the death benefit. Your beneficiary would only get the death benefit, which increases as your cash value increases. So, if the cash value is $200K and the death benefit is $500k, your beneficiary would get the $500k only. You, as the policy owner, would have $200k cash value to withdraw or borrow against for a life insurance loan. If you have further questions, please email us at info@insuranceandestates.com and refer to your comment on this article. Your answer to Ramon is not clear, since you already died, no one will borrow or withdraw $200k cash value, will beneficiary receive both $500k plus $200k? Yes or No? My two 100K New England Graduated whole life policies are 30 years old and the death benefit is lower than the 100K plus the cash value. The illustration back in 1982 showed a death benefit and cash value much higher based on probably a 8-10% return whereas it’s been more like 4%. That’s because in 82 we had much higher inflation and interest rates. Illustrations from 30 years ago did not take into account our current unprecedented low interest rate environment. Personally, it appears we are seeing interest rates rising but with so much of our current economy dependent on debt creation it is hard to imagine that rates will go much higher. Then again, these are strange times and it is difficult to forecast what the future will hold. A friend of mine is suggesting I take a hard look at Transamerica IUL life insurance policy. With a $9 million net worth (6.3 million is equity in our home) do I even need any of this? Hi Jeffrey, thanks for checking in and offering a good question about permanent life insurance as it relates to wealth planning. The short answer is whether you need this may depend upon your values, goals and mindset. Rather than focusing only on a death benefit of life insurance, we encourage folks to think about perm life policies (IULs and Whole Life) as an asset, like real estate, that you can fall back on and leverage for other opportunities. Also, given the current market conditions, relative to both the financial markets and real estate, a safety net strategy may make sense for you and perm life can serve this important function. I would like to connect you with Jason Herring, our top IUL expert, to explore your question in more detail. Let me know if this works for you and if so, please e-mail your contact information to me at steve@insuranceandestates.com.